A couple of quick announcements of upcoming classes that are guaranteed to be epic. How do I know? Because the women giving them are stunningly talented and never disappoint! 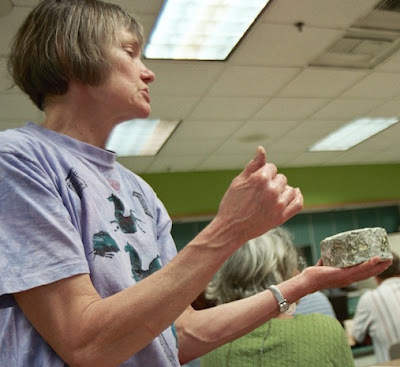 Master cheesemaker and renowned science fiction author Mary Rosenblum teaches how to make your own Monterey jack cheese at home. Taught in Sasha Kaplan's "And She Cooks" home kitchen, you'll also sample some of Mary's feta cheese and have a late lunch prepared by Sasha of a pasta and salad dish using the cheese you create. Details: Cheesemaking with Mary Rosenblum with Cheese Sampling and Lunch. Sat., April 9, 1-4 pm; $50, preregistration required. 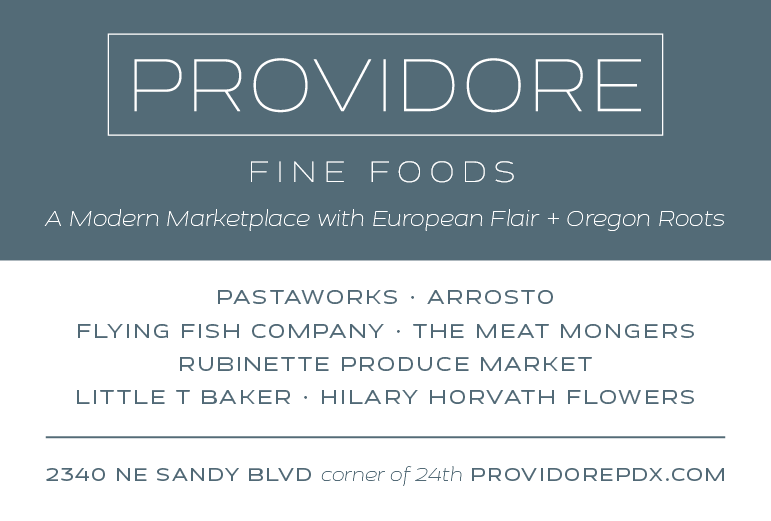 And She Cooks, 2335 NE 41st Ave. 503-288-8196 or 503-317-4823. Find out how easy it is to prepare an astonishing spring holiday meal with ingredients bought at the farmers' market. The class starts with a tour of the Hillsdale Farmers' Market where you'll meet many of the market's farmers, ranchers and producers as you gather the ingredients for the meal. Then it's a short walk to Sweetwares kitchen in the Hillsdale Shopping Center where Chef Kathryn will demonstrate how to stuff and tie a lamb leg roast, complement it with savory sauces, condiments and seasonal market vegetable side dishes. A tasting will follow the demonstration and include suggested wine pairings and a dessert recipe. Details: Superb Spring Holiday Dinner with Chef Kathryn LaSusa Yeomans. Sun., April 17, 9:30 am-12:30 pm; $60, reservation required. Sign up on the market website. Photo of Mary Rosenblum by Sarah Gilbert. 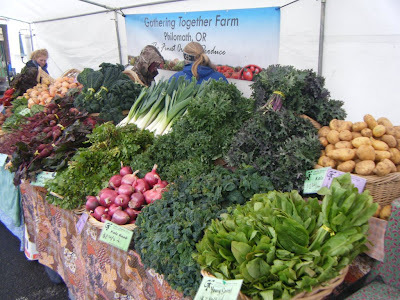 Farmers' market photo by Kathryn LaSusa Yeomans.